The Ledgo LG-G260 LED RGB Studio Light is a beast of a fixture. The name tells you it’s designed to be in a studio. Why? 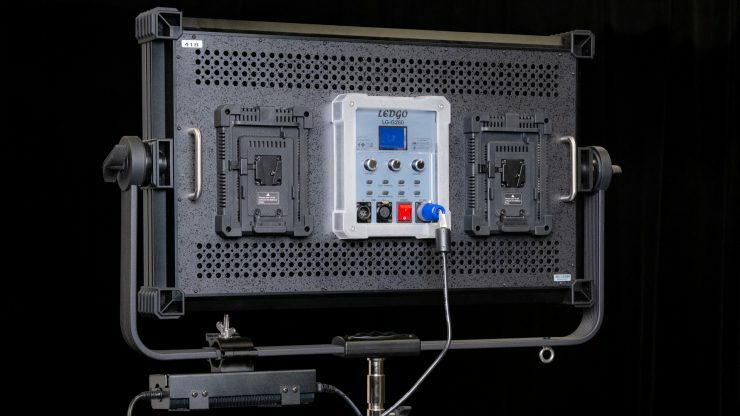 Probably due to its weight, size and output and the addition of DMX control. 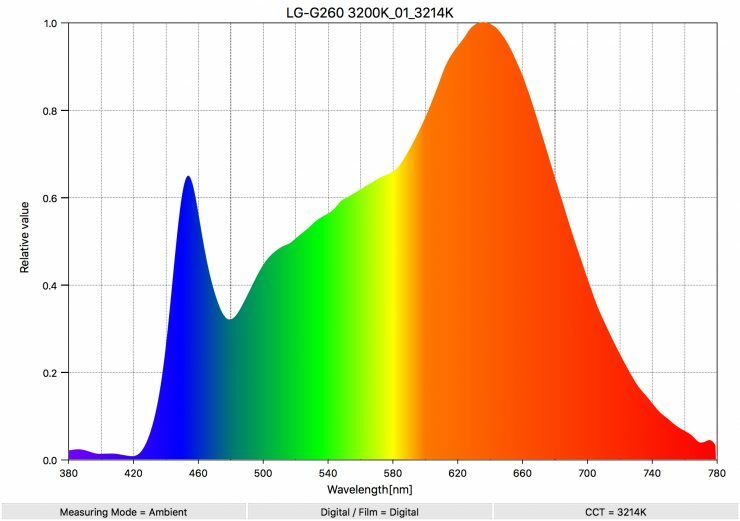 The LG-G260 LED RGB comes in at 11kg or 24.25 lbs. While weight is one characteristic of the light it’s overall size is pretty big as well. The dimensions are 858 x 613 x 148mm or 2.8 x 2.0 x 0.4 feet. Oh, yeah she’s a beast. 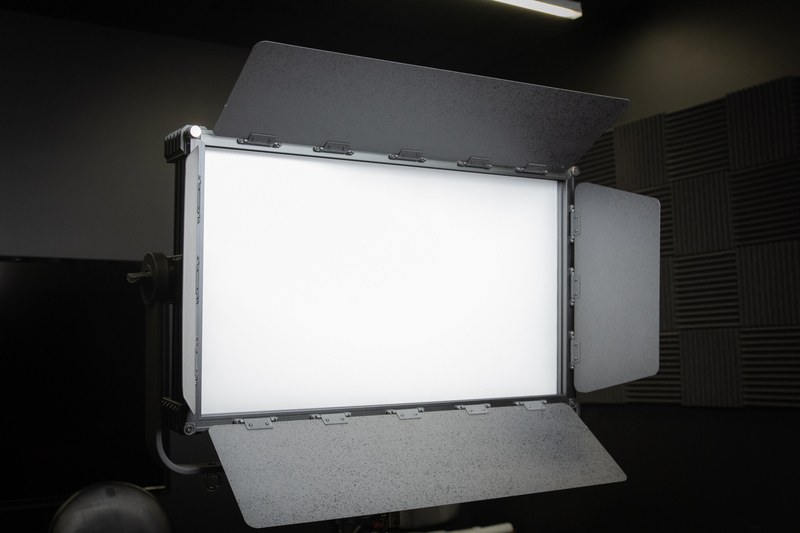 Ledgo looks at the LG-G260 LED RGB Studio Light as an alternative to the popular Arri SkyPanel S-60C. 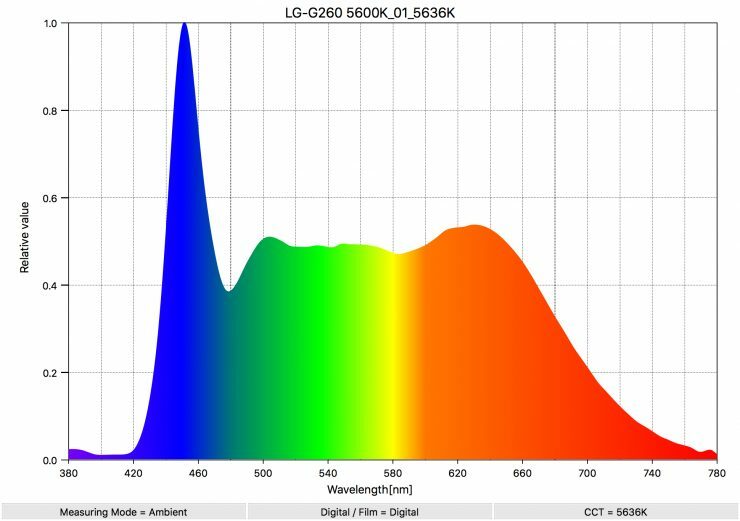 The LG-G260 LED RGB is 260W and Ledgo states it’s almost the same output as the 450W ARRI Sky Panel S-60C. They both share RGB color effects and can be updated to add more filters and features. One big difference between the two fixtures is the price. 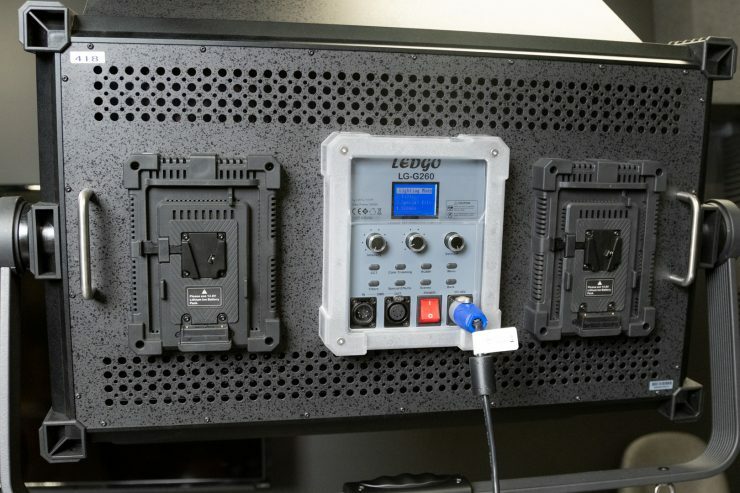 The Ledgo is $2,423.00 while the SkyPanel is $5,850.00. 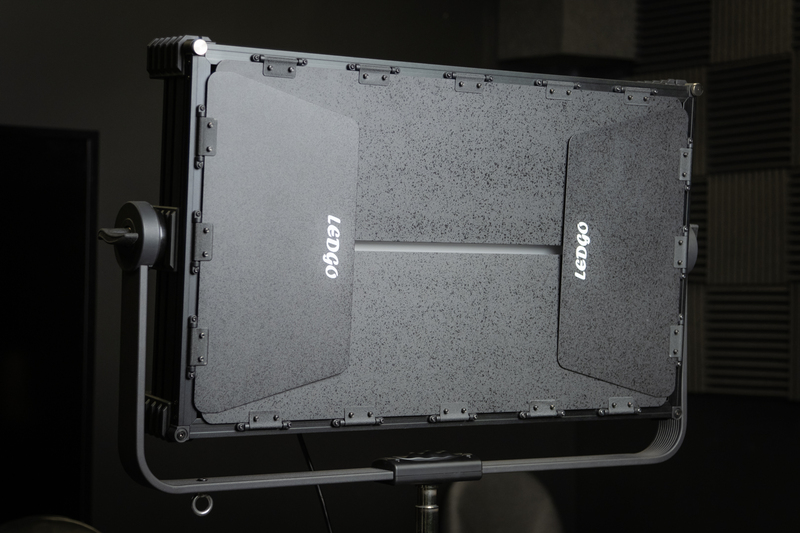 The LG-G260 LED RGB Studio Light has a milky cover to soften the LED light. The diffusion cover is not removable. As with most lights if you want to use them as a key I generally soften them even more but it’s a good start and depending on the look you may not need to add any diffusion as the light is pretty soft. The fixture comes with barn doors that are removable by unlocking them with two thumbscrews and sliding them off upwards. They look to be sturdy and hold in place well. When closed they lay nice and flat. Ledgo has an optional 40º grid available for a much more focused source as the LG-G260 is a 120º panel. On all four corners, the fixture has thick plastic protective covers. The light is attached to a sturdy yoke with two lockdown knobs that hold the heavy fixture in place. 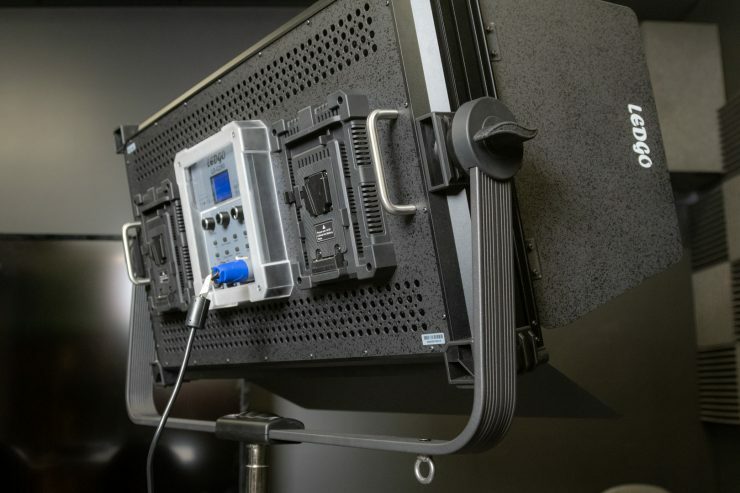 To mount the LG-G260 LED RGB to a stand it uses a dual purpose receiver. A junior and a baby pin option in one. I like these dual mounts since it gives you options without having to swap it out. Just use a stand that can handle 25 pounds. On both sides of the yoke are lockdown knobs. They are nice and big making it easy to secure in place. They are made of plastic. The fixture does have a nice firm hold for such a big and heavy light. I liked to have it half locked to easily tilt the light without fussing with the knobs. It holds in place just fine. 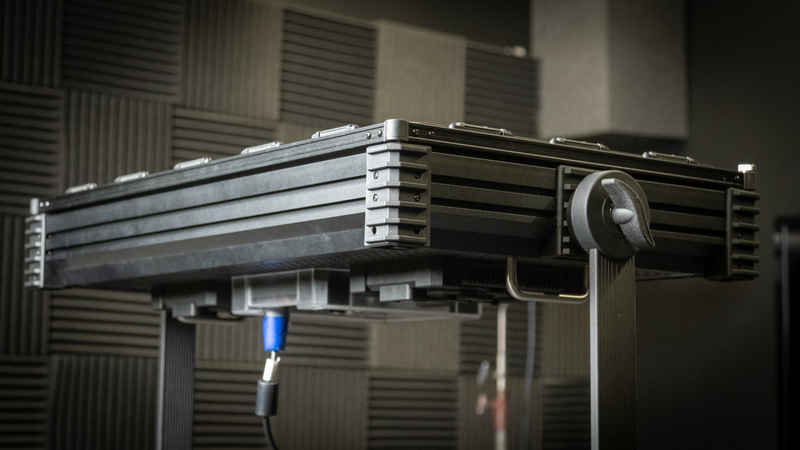 The LG-G260 LED RGB Studio Light comes with a V-Mount battery powering option. It has two adapters on the back. 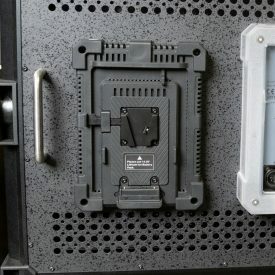 You have to use two large capacity 12-amp 14-volt 182Wh minimum V-Mounts to power this 260watt fixture. The ballast is separate from the fixture and can be mounted to the yoke or a stand with the included clamp that is securely attached to the ballast. 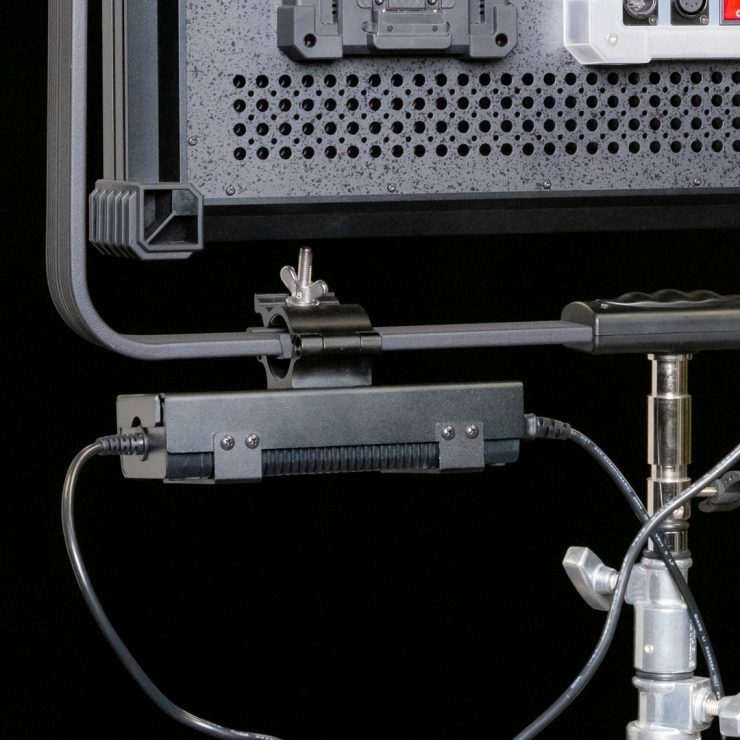 The power cable that attaches to the fixture is not very long so attaching to the bottom of a stand isn’t possible. 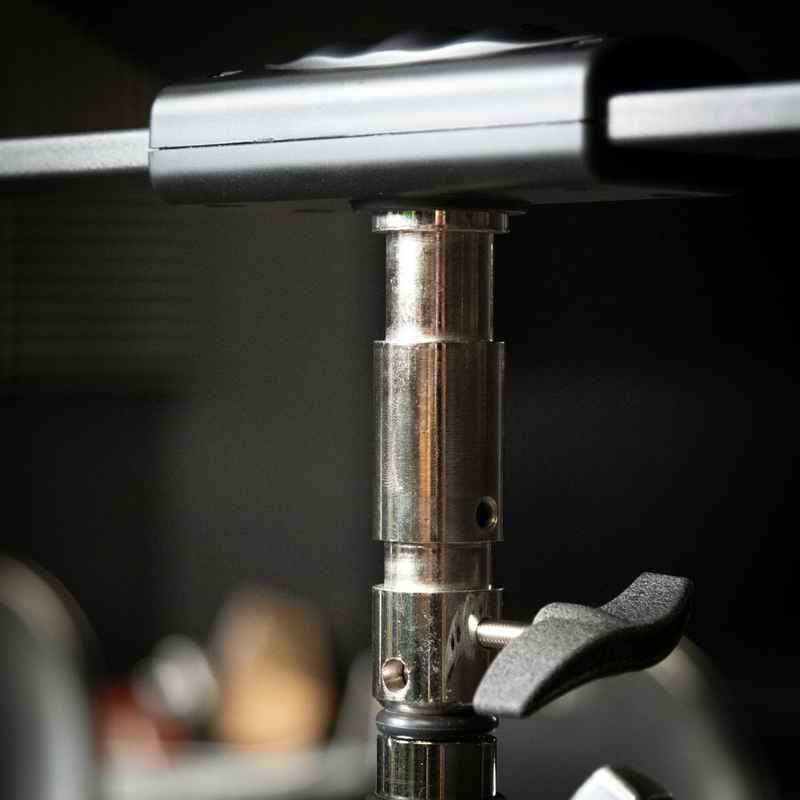 Since it can be attached securely to the yoke this gives you more options on how high you can take the light up on a stand. The included AC power cable is long and can be easily upgraded to a longer cable. The AC input on the ballast doesn’t lock so it can easily be unplugged it tugged on by accident. The LG-G260 has a fan to keep it cool. It is audible when behind the light but from the front, it’s surprisingly quiet. The fan can be turned off in the menu for situations where it might be an issue however the output will drop to 50%. When using batteries, the fan automatically enters the OFF mode. Powering off the light resets the fan to be on again. While one fixture isn’t very loud having ten in a grid might be problematic when you add up all the fan noise. This obviously isn’t something I can test but it would be a potential concern if doing a full studio install. On the other hand in our main news broadcasting studio, we have over twenty ASTRA light panels in the grid that also have fans on the back and they are silent. 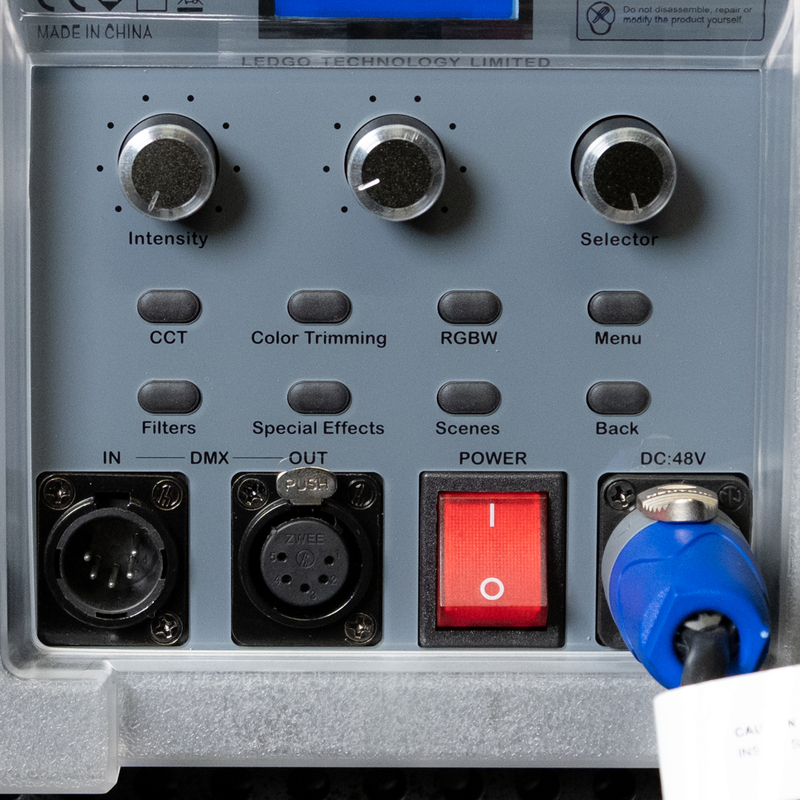 LG-G260 RGB studio light has a total of 10 control channels that can receive the DMX521 international standard signal. The fixture has a lot of output options like HSI RGB, lighting effects, kelvin and CC filters. When testing a menu system I like to see how easy it is to figure out without reading the manual and it only took me a few minutes so that’s a good sign. Menus can be a struggle to navigate and the Ledgo LG-G260 is fairly easy to use. One thing I noted is when you change modes with the button shortcuts like CCT and Special Effects settings and have the output set to 100% you have to turn the dial to the left to get the full range back. It’s not a big deal just a little strange. On the control panel are three adjustment knobs and six shortcuts. For example here is how you control and change the settings on the Ledgo LG-G260. Selector dial can select the R/G/B/W color mode. Rotating the No.2 dial adjusts the color mix. Displays the menu operating mode on the LCD screen. Rotating the Intensity dial to choose a special effect, then set the relevant parameters. extract or save up to 5 customized scenes. Lighting effects are also popular on many lights and the Ledgo LG-G260 has several to choose from. In Menu set brightness, frequency and amplitude. Selector Knob for adjusting the start or the pause. Enter the menu for adjusting color, brightness, and speed. Gradually change from shallow to deep Enter the menu for adjusting the brightness, speed and color type. Enter the menu for adjusting the brightness, speed, and saturation. The Lighting Modes setting allows you to choose from popular practical light looks. While the LG-G260 is an RGB light it doesn’t have color presets. You can store up to five in Scene Setting. For full-color range, you simply enter the HSI mode and use the dial to go through the color wheel in degrees. A full set of Rosco gels are included and can be added to either 3200K or 5600K settings. More Rosco gels are going to be added with a future update. The kelvin range is 2700K to 7500K. 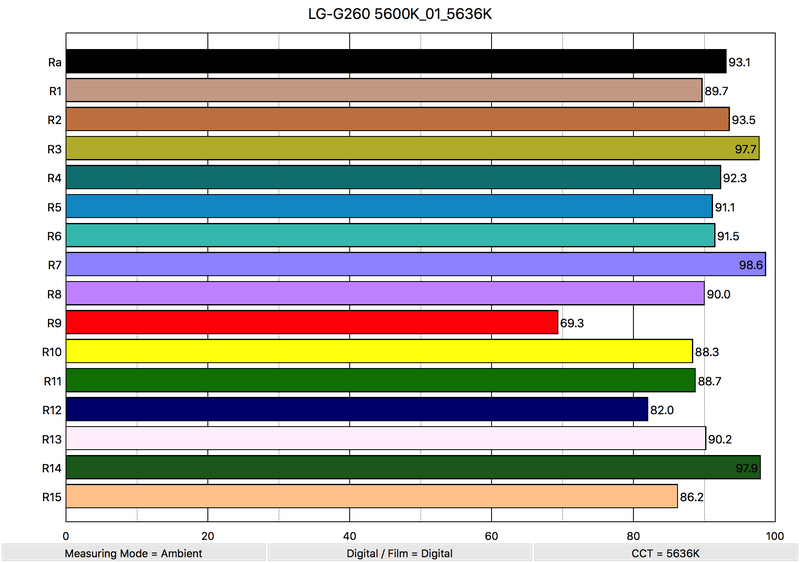 My tests show the LG-G260 to be very accurate in all the kelvin color temperatures. The LG-G260 is pretty punchy and it should be since it’s a big fixture. 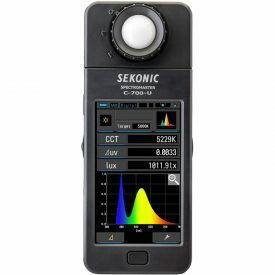 I used a Sekonic C-700-U SpectroMaster Color Meter to test the output and color. Here are the results. Having variable outputs for different kelvin settings is typically due to the way the fixture is mixing the colored LED’s to create the color temperatures. The good thing here is that daylight 5600K is the brightest and that is more usable in shooting in daylight environments. I, for the most part, don’t use 3200K very often anymore. I mentioned earlier that Ledgo was comparing the LG-G260 to the Arri SkyPanel S60-C. Matt tested Arri and it scored 10900 lux at 5600K from 1 meter. I would say it’s not that close at over 2760 lux brighter than the LG-G260 however the LG-G260 is slightly larger with a wider beam angle of 120° to the ARRI’s slightly narrower 115° beam angle. It’s always tough to compare lights head to head but we do our best. Here are what some 2×1 sized RGB lights we have tested output of at both 3200K and 5600K. Note that they all have different diffusion strengths so some could be more or less softer. Here are the results. When used at 3200K it recorded an average CRI (R1-R8) of 94.1, and an extended CRI (R1-R15) of 91.97. So how does this compare to some other 2×1 RGB light we have previously tested? The Spectral Distribution in 3200K mode looks very good with a blue present. 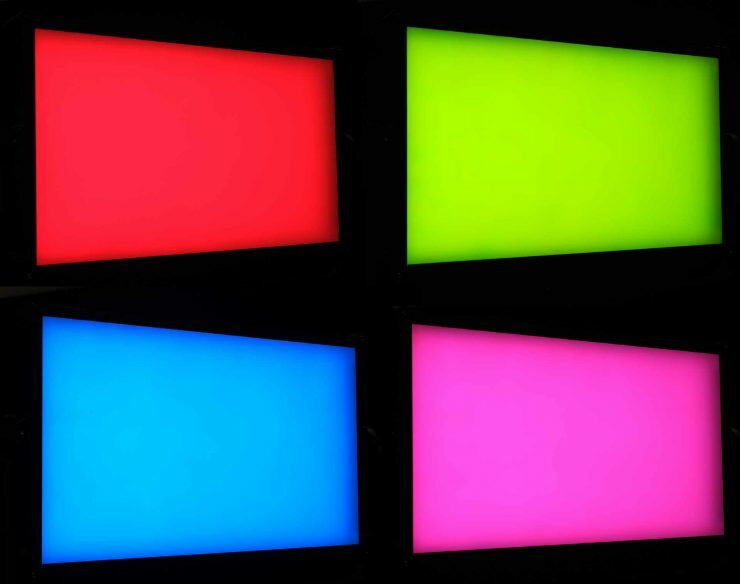 So how do those results compare to some other 2×1 sized RGB panels we have tested? Rayzr MC200 5600K Extended CRI (R1-R15) of 93.80. The Spectral Distribution in 5600K mode looks excellent. The only spike is the blue channel and that is to be expected for daylight setting. This is the biggest light i’ve used in a long time. 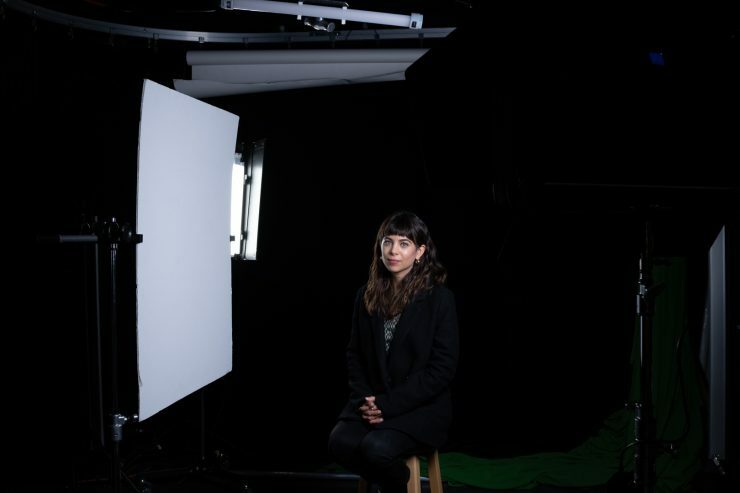 That’s not to say it’s too big but I find it hard to transport and like it’s description it’s a Studio Light. In the studio it’s a breeze on a rolling stand like the Matthews Hollywood Baby Jr. Triple Riser Stand. The weight limit is 30 lbs so just makes it. One thing that is a little difficult due to the size is making adjustment from behind the light it’s hard to see what they look like since the fixture is so wide. I have to peek around it to look. That’s a first for me. The light quality is very nice and it really is soft. I can easily get a nice look without adding diffusion. This shot was with the Ledgo LG-G260 for a key with a bounce board as a fill and a Kino Flo Diva for a little side light. I like it. A little moody in a dark setting. The light was set at 11% so very low and soft with plenty left if needed. The Ledgo LG-G260 is a high output RGB fixture that delivers very good quality soft light and has an easy to use menu system to access its features. RGB is all the rage now and I personally like having the option for lighting backgrounds but you really have to need the feature to justify the price. Yes, this is still fairly new tech and pretty much all the lighting manufacturers are making RGB lights now it’s really hard to tell them all apart. In fact, pretty soon I feel all lights will be RGB and the differentiator among them are feature sets and build quality. Bright soft lights are much more common. 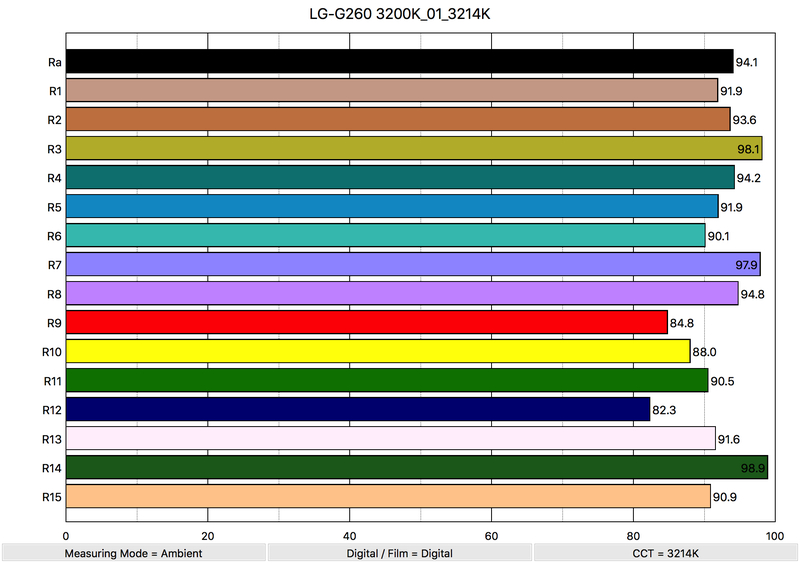 The LG-G260 while being half the price of the Arri SkyPane is still in the upper end of the market at $2423 US. 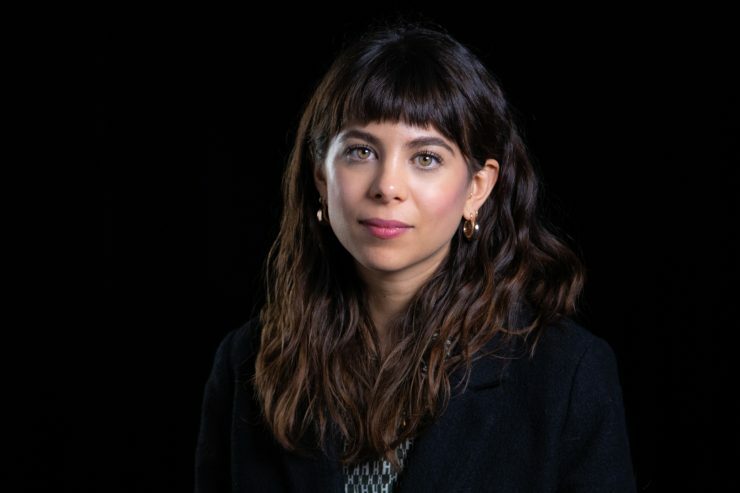 In the narrative filmmaking world having lighting gags like party lights and emergency flashing could come in handy but again it has its limitations. 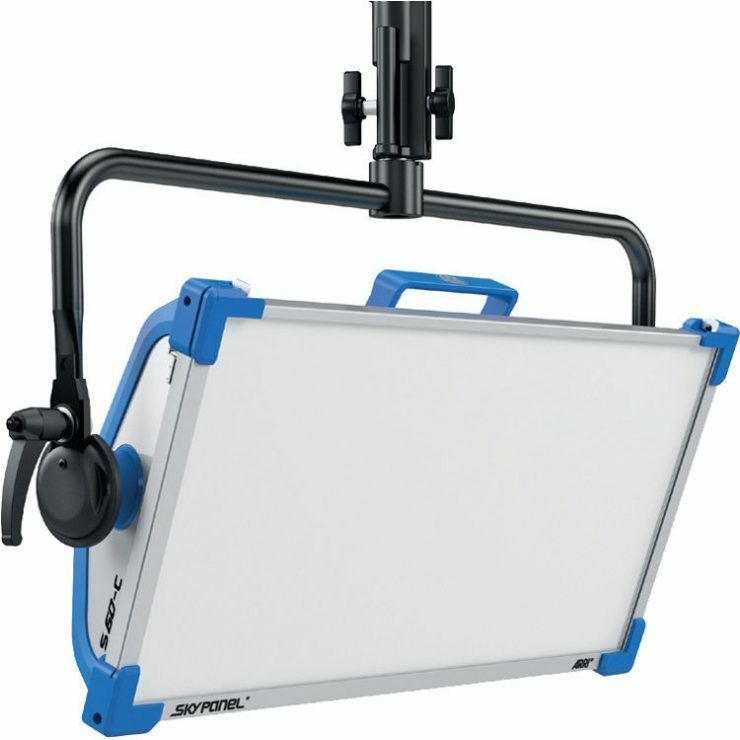 As for output, the light is bright and soft with plenty left for even softer setups by bouncing or punching through a 4×4. 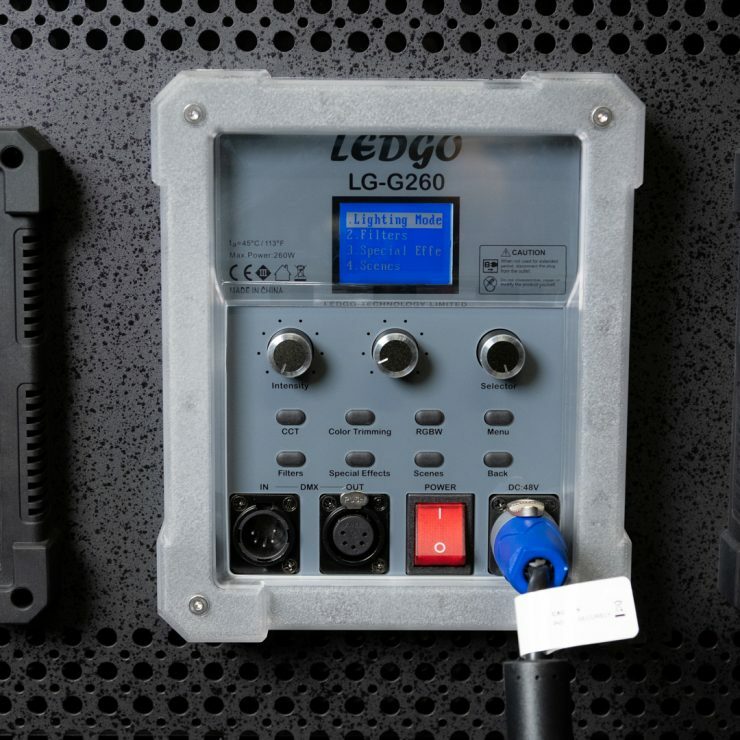 If a large source fixture is something you need the Ledgo LG-G260 is one that should be looked at.